Caterpillar Inc. - one of the leading corporations for the production of the largest special machinery in the world. It produces earth-moving equipment, construction equipment, diesel engines, power plants (operating on natural and associated gases) and other products, as well as footwear. 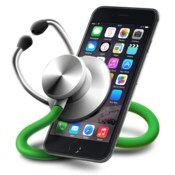 Recently, also, there are protected mobile phones and smartphones. With more than 480 units located in 50 countries on five continents. The headquarters are located in the United States. The company's main predecessor was Stockton Wheel Company, founded in 1883 by brothers Charles Henry Holt and Benjamin Holt in California. This company specialized in the production of agricultural machinery, in particular in 1886, began to produce harvesters. In 1904, the company launched its first commercially successful crawler tractor, which soon began to be sold under the trade mark Caterpillar (from English caterpillar - caterpillar). In 1908, Holtov bought another combine manufacturer, Daniel Best. Also this year began the production of tractors with a gasoline engine. In 1909, a plant was purchased in the eastern United States, the city of Preoria (Illinois). The funds spent on refitting the plant quickly paid off: in two years 625 people worked on it, tractors were exported to Canada, Mexico and Argentina. Even before the First World War, Holt's tractors were exported to the UK, France and Russia; During the war, military orders were the basis of the company's activities. In 1925, as a result of the merger of Holt's company with one of its main competitors, C.L. Best Gas Tractor, was founded by Caterpillar Tractor Company. Her first chairman was Clarence Leo Best, son of Daniel Best. 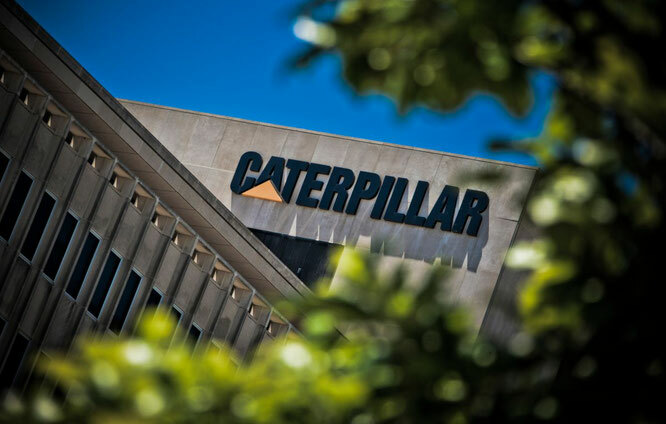 In the early 1930s, the company's headquarters and its main production facilities were moved to Illinois; Since 1931, Caterpillar has started to produce a diesel engine. 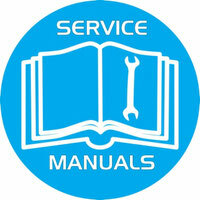 During the Second World War, the company was ranked 44th in terms of military contracts. In 1950, Caterpillar Tractor Company Ltd., the first foreign subsidiary, was founded in the UK. In 1960, the company began operations in Brazil. In 1963, at the joint venture Caterpillar and Mitsubishi Heavy Industries, Ltd. 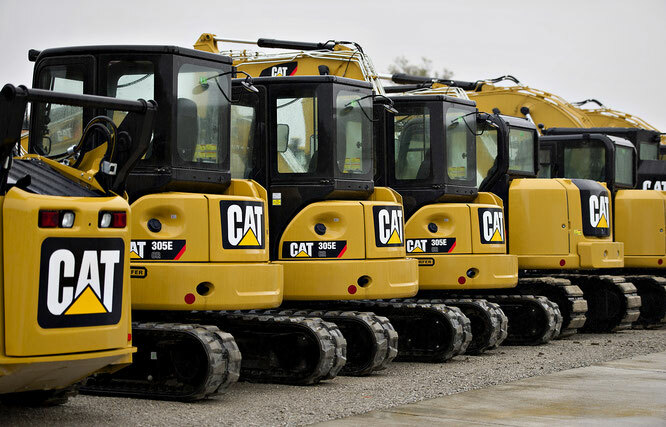 The production of Caterpillar machinery in Japan began. In 1982, the company suffered losses for the first time since the Great Depression, in 1985 the plant modernization program was launched, which was completed in 1993 and cost $ 1.8 billion. 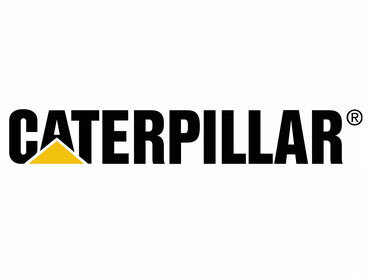 In 1986, the company's name was changed to Caterpillar Inc. In 1994, a record 17-month strike of workers began at the Caterpillar plants. In 1998, the British company LucasVarity bought a subsidiary company for the production of diesel engines Perkins Engines. In 2000 the company built its own plant in Tosno (Leningrad region, Russia). Also in 2000, factories were bought in India, Australia, Italy and the United Kingdom. In 2001, Caterpillar ceased production of agricultural equipment. In April 2008, Caterpillar acquired the Canadian manufacturer of tunneling complexes Lovat Inc. for $ 49 million. In 2011, Caterpillar made its largest acquisition, buying for $ 8.8 billion company Bucyrus International (English), after which it became the largest producer of single-bucket excavators. 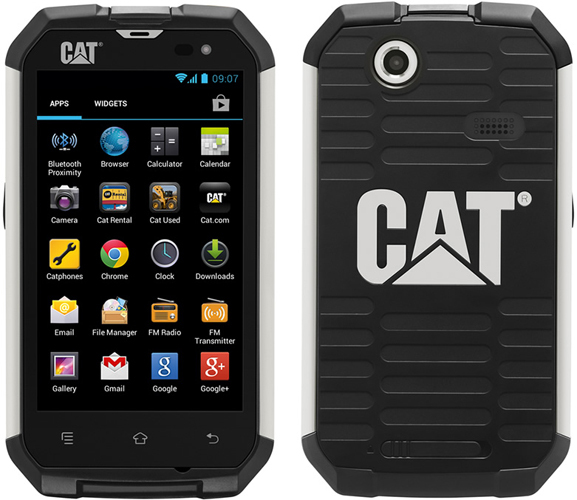 The company's products are sold under the trade names Caterpillar, CAT, EMD, FG Wilson, MaK, MWM, Perkins, Progress Rail, SEM and Solar Turbines.